Our goal is to connect people with the best local experts. We scored plumbers on more than 25 variables across five categories, and analysed the results to give you a hand-picked list of the best plumbers in Simi Valley, CA. All Pro Plumbing is a leading provider of first-class plumbing solutions, serving residents and business owners in Camarillo, Oxnard, and Newbury Park, California for over twenty-eight years. They offer general plumbing services, drain and sewer cleaning, slab leak repair, trenchless technology applications, and water heater repair and installation. In addition, they are available 24/7 for clients with emergency service requests. Eddie Balderrama, the owner, and head plumbing specialist has helped a large number of customers and has established long-term relationships with them over the course of his near three-decade career. All Pro Plumbing is an A+ rated business with the Better Business Bureau and offers free estimates over the phone. Barcena Plumbing is a plumbing services provider located in Simi Valley, California. The family owned and operated company has been in business since 2005 and is proud to report that most of its business comes from referrals by loyal customers. At Barcena, customer satisfaction is a top priority. The company's trained technicians arrive to each appointment in fully stocked vans and wearing professional uniforms. The attention to detail continues inside the home where technicians wear shoe covers to prevent tracking dirt or scratching floors. Barcena offers up-front pricing so that its customers don't have to watch the clock and worry how much repairs will cost. The company offers a wide variety of plumbing repairs, installations, and drain maintenance services. They also sell a variety of plumbing products for the home on their website. Beck's Plumbing is family owned and operated, serving the residential and commercial establishments of Simi Valley in California. The company takes pride in their years of service and continuous education to provide its clients the most up to date expert plumbing solutions and innovations. The company offers plumbing installations and repairs, drain cleaning, repair and unclogging, water heater and filter repair and installation, and sewer and water line repairs. The company has a 5-star rating on Yelp and ensure that the job is done quickly and efficiently by their licensed plumbing experts at an affordable rate. With more than 25 years of industry experience, Bill's Plumbing in Fillmore, California is a professional plumbing contractor that serves residential, commercial, and new construction clients throughout Ventura County. The company is known for fast, reliable service and specializes in water heater installation and repair as well as drain cleaning. Open every day of the week, around the clock, Bill's Plumbing is available for emergency plumbing needs and offers prospective clients free quotes on its work. Previous clients of Bill's Plumbing praise the company for its dedication to clients' safety as well as its above-and-beyond philosophy of customer service. James Plumbing brings over 100 years of combined experience to clients throughout Simi Valley Services include plumbing for complete bathroom and kitchen remodeling projects as well as room additions, basic plumbing needs and repairs, gas piping and tie-ins, leak detection, storm drainage, fixtures, sewer and drain cleaning, new installs, and 24/7 emergency repairs. Commercial and industrial plumbing services, backflow installation, underground leak detection, and video sewer line inspections are also available along with the installation of tankless water heaters. Customers appreciate the team's fast response times, honest communication, competitive pricing, and dependable crews and can also request energy conservation tips to help reduce water usage and costs. James Plumbing is certified to install Aquapex water piping, Trac Pipe gas piping, Pro Press, and Poly gas piping as well. Moorpark Plumbing commits to exceeding customer expectations by providing services that restore water flow in the safest, most efficient manner possible. The fully trained and licensed plumbers solve a range of problems including leaky pipes, broken garbage disposals, overflowing toilets, clogged drains, and more. The Moorpark-area business delivers quick, reliable, and professional services that customers can trust. The residential and commercial plumbing services provider pays meticulous attention to client needs while performing installations, replacements, and repairs. Moorpark Plumbing employs experienced technicians with the expertise to deliver high-quality solutions that include innovative products by Kohler, Moen, Bradford White, and others. Clients can trust the plumbing experts to arrive in well-stocked service vehicles with the materials and equipment to handle jobs of all sizes. Pipe Master Plumbing has been serving residential and commercial clients in Simi Valley, California and the surrounding communities for over 25 years. They specialize in repair and installation of a wide variety of plumbing products and equipment including standard and tankless water heaters, copper lines, garbage disposals, bathtubs, showers, toilets, faucets, and sump pumps. They also offer drain and sewer cleaning, repair of sewers, gas lines, and copper pipes, and installation of whole house water filtration systems. Pipe Master Plumbing's plumbers have been in the industry for years and have the experience and knowledge to deliver high-quality solutions to their clients’ plumbing needs. Pipe Master Plumbing is a screened and approved Contractor by Smith and has a 5.0 rating from the same organization. Simi Valley Plumbing is a business that has been serving industrial, commercial, and residential customers in Los Angeles County and Ventura County for over 42 years. The business is licensed and provides a variety of services including drain services, sewer services, electronic leak detection, water heaters, drain cleaning, toilet repair, faucet repair, copper re-piping, gas lines, backflow testing, copper pipe repair, garbage disposal repair, slab leaks, and new construction. Simi Valley Plumbing provides customers with 24-hour emergency service. Product brands include Kohler, Moen, American Standard, and Delta. Simi Valley Plumbing has an A+ rating from the Better Business Bureau. Customers appreciate their reliability, honesty, responsiveness, efficiency, quality of work, prices, customer service, and professionalism. Sketchley and Mason Inc. brings years of combined experience to plumbing clients throughout Simi Valley. The company dates back to the 1940s and is known for “Quality at a Fair Price” with services for water heaters, tankless water heaters, video sewer inspection and location, trenchless sewer installation, sinks and toilets, gas and water leak detection, jetting and rooter service, and trenchless sewer installs. 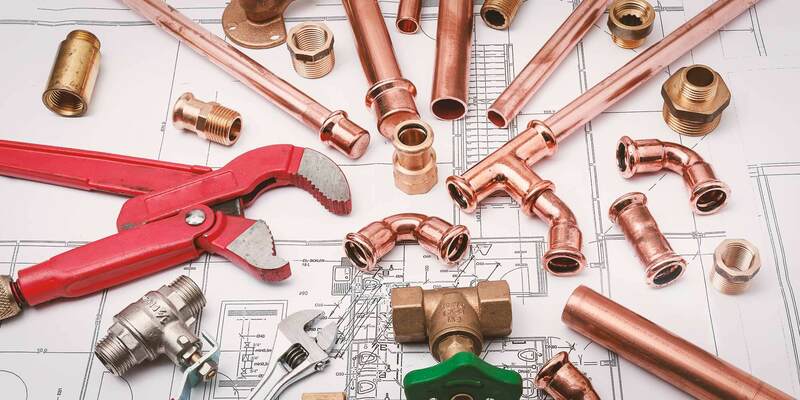 Crews can also handle copper repiping, plumbing for kitchen and bathroom remodels, garbage disposals, installs of appliances and faucets, water filtration systems, and plumbing fixtures as well. Interested parties can also ask about irrigation, condensate systems, and electronic sensor valves, and commercial services include backflow testing, restaurant jetting, grease interceptors, and private disposal systems. Sketchley and Mason is licensed and also certified in Industrial Medical Gas.